After 6 hours of labor, our nurse ran in our room and told me to get up on my hands and knees. There was an urgency in her voice that instilled fear in my heart and caused Jesse & my mom to jump. She told me to hurry and lay on my right side. Then left side. Then hands and knees again. She scrambled with the heart monitor and then said the words that made me feel like I was crumbling into a million pieces. Tears rolled down my cheeks. All I could do was desperately plead with God to not take our baby home. Our midwife and 4 nurses rushed in frantically, broke my water and attached a monitor directly onto Saxon’s head. I’ll always remember that moment of waiting, completely helpless, and realizing that everything I have is under God’s control. He gives, and He takes away. After what felt like forever, Saxon’s heartbeat started back up again. Our midwife couldn’t explain why (his heart rate had dropped off before, but never for so long). 5 more hours of labor felt like forever. When it was time to push, Jesse and I broke down in tears of relief and so much joy. When Saxon arrived, our midwife said, “Oh my gosh, look!” We looked and saw that his umbilical cord was in a “true knot.” She explained that the knot is considered good luck, because it’s formed very early on; babies with a true knot typically don’t make it through the entire pregnancy. She then explained that my polyhydramnios (which I complained about all pregnancy because it was unexplained & frustrating) was a miracle & completely saved my baby’s life. The excess fluid in my stomach only allowed the cord to cut off his oxygen for very short periods of time before it moved him around again. He is now a healthy and happy baby boy, asleep in my arms as I write this! He’s a reminder to me that the trials we complain about have a purpose in God’s plan. What we view as unfair can always be used for His good. This moment next to his precious daddy will always remind me that beauty comes from ashes. In moments of fear or doubt, He is always in the details. There is only One in control and only One who gives real, unending hope. He is my miracle baby that has altered our worlds in the sweetest and best ways. 1. After delivering Saxon, my anxiety disappeared. 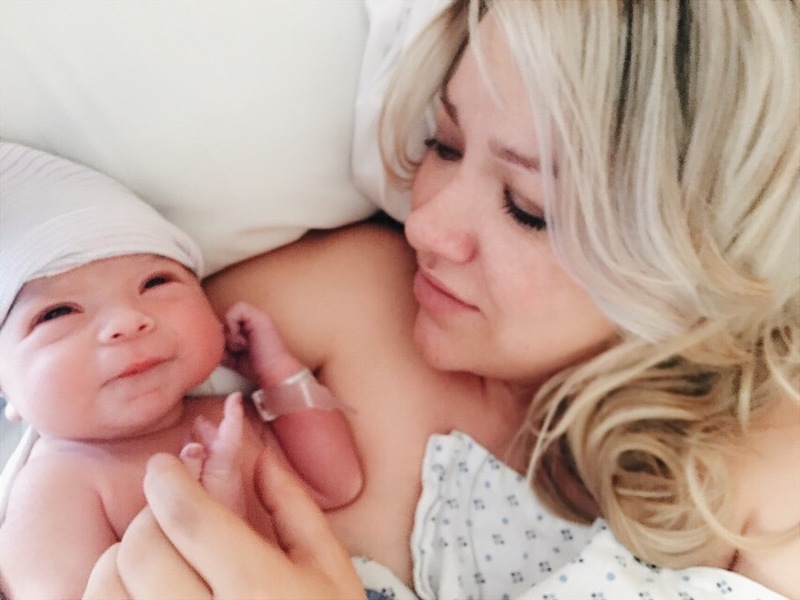 My postpartum anxiety with my first son, Sutton Rylee, was debilitating. I didn’t realize how ‘bad’ it really was until I started talking to other women who had also gone through it. It eased off quite a bit after about 9 months, but the perpetual anxiety that I had never experienced pre-pregnancy stuck with me, no matter what I did. It was a new way of life, a trapped life, that gave me a new understanding and extreme empathy for anyone who dealt with anxiety or depression. During my pregnancy with Saxon, my anxiety escalated and became worse than it had ever been. I ended up in triage three times because of physical panic attacks that literally paralyzed me (which I hadn’t “believed in” prior to being pregnant.) I even almost passed out once as I was driving myself to the hospital. However, the second that I delivered Saxon in the hospital, my anxiety disappeared. I have no other way to explain it aside from the fact that his delivery had to have balanced out my hormones. My family has noticed a massive change in the way that I cope with things and deal with life now that I don’t battle with anxiety anymore, and the amount of freedom that I feel is inexplainable. I can’t even put into words how thankful I am for this sweet boy and the blessings I’ve received through him! After we had Sutton, finances honestly weren’t much of a thought. It was relatively easy to skate by and continue to spend our money in the same way that we used to before babies. However, with baby #2, we had self-employed insurance so our hospital bills were sky high (you wouldn’t even believe what we had to pay. It makes me want to cry! lol.) 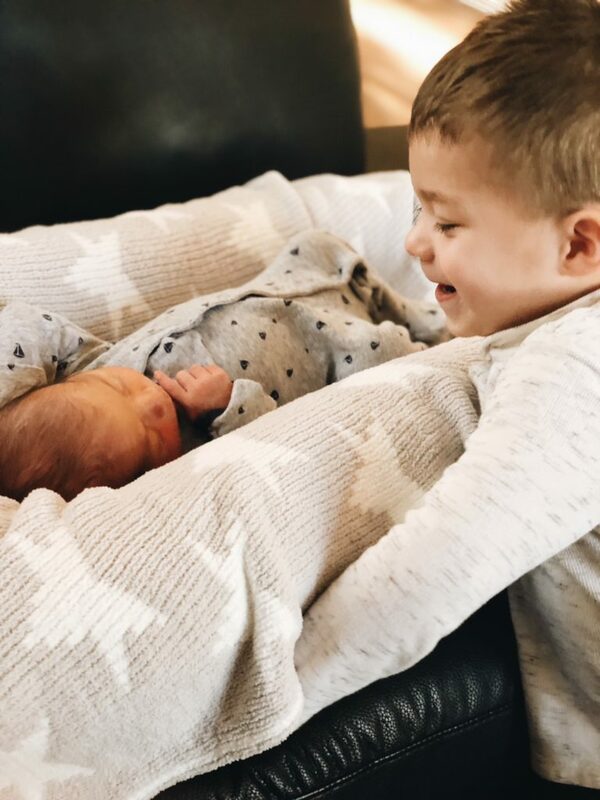 And also, with the process of building a home, we have really started buckling down on our spending to ensure that we had a solid savings account for both boys. One of the many ways that we have been able to save money is by using Signature Care Diapers. I have been genuinely impressed with the high quality and super reasonable price that they offer! Diapers are honestly one of the most costly expenses that we’ve had (and it has taken much longer than expected to potty train Sutton) so we want to save all the money that we can! 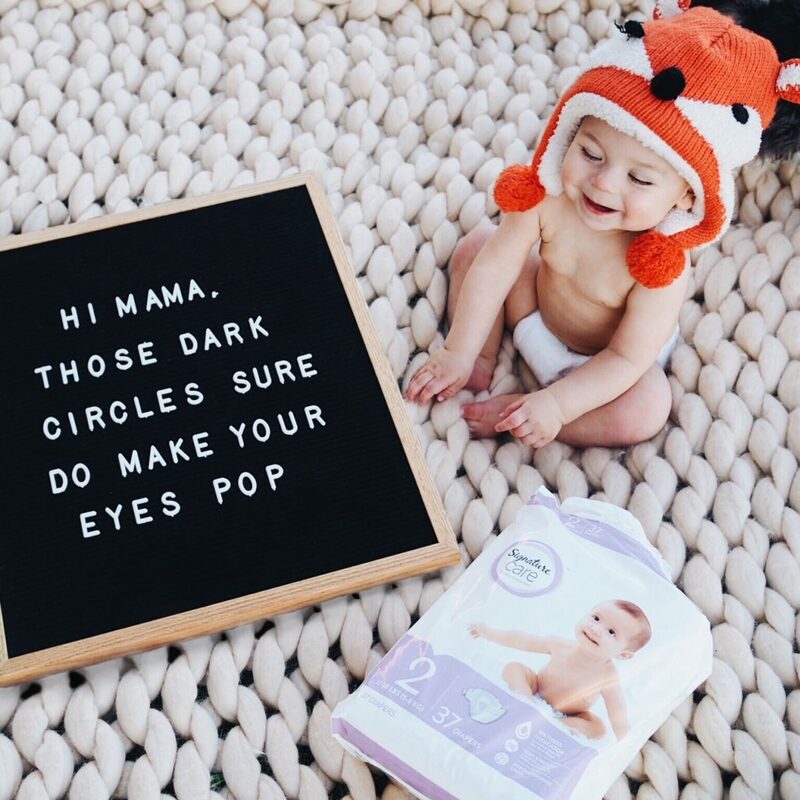 Signature Care Diapers offers a 100% money-back guarantee and their company is based on offering quality and value for every mommy and daddy out there! I encourage you guys to take one minute to fill out the short form at this link to receive a free 5ct sample of Signature Care Diapers and a $2 off Coupon to use on any Signature Care Diaper or Training Pant Product! Signature Care Diapers are breathable, which help to keep baby dry and comfortable and they also have a cotton-enhanced dryness layer. And not to worry! These diapers have the helpful wetness indicator which changes color when it’s time for a change! 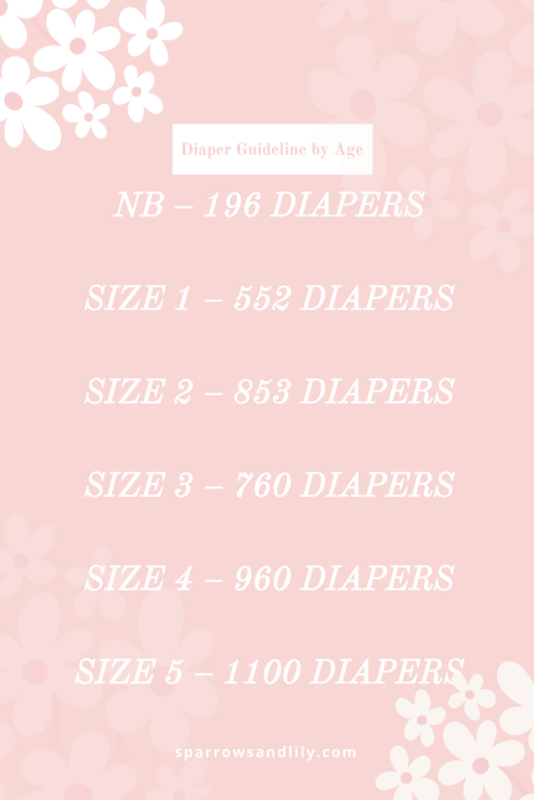 Here is a helpful little chart that I created for you guys which shows how many Signature Care Diapers you might need for your baby in each size! These bags under my eyes (and increasing wrinkles) say it all! haha. I texted my friend yesterday and told her, “You never told me how exhausting it is to have two babies!” 😉 She laughed and said she had probably told me and I just wasn’t ready to listen. So true! 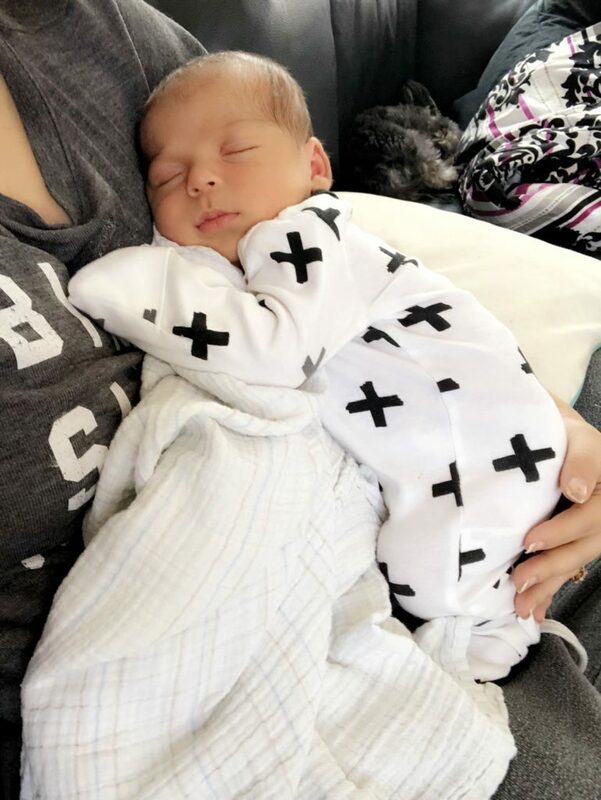 Motherhood is by far the most exhausting thing I have ever done – emotionally, physically and mentally – but it is also the most beautiful, wonderful and fulfilling thing that I have ever done in my life. There is nothing in the world that I would exchange it for, but as they say, the days are long and the years are short. 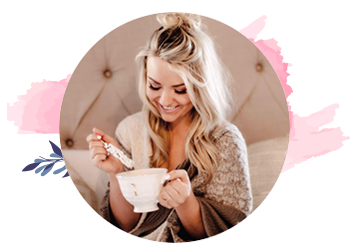 It has been so helpful to have community surrounding me and to have other moms reminding me that ‘this too shall pass‘ – both the good and the hard will be gone in the blink of an eye, so I’m cherishing it with my entire heart!